Whenever me & Mr Yumdimsum head over to China town, our platter of meat is always accompanied by a simple little sauce that blows our minds. 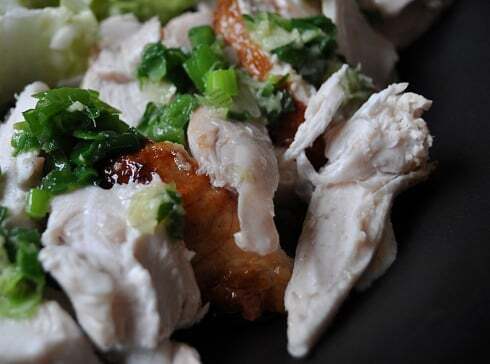 It’s drizzled over your soya chicken and the flavour is just incredible. As we’re saving for a holiday we’ve not been to China town in what feels like forever (*whimper! 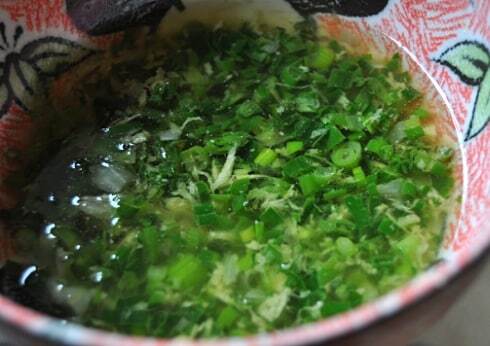 *) so to soothe our withdrawals Mr Yumdimsum whipped up a batch of our very own spring onion sauce! 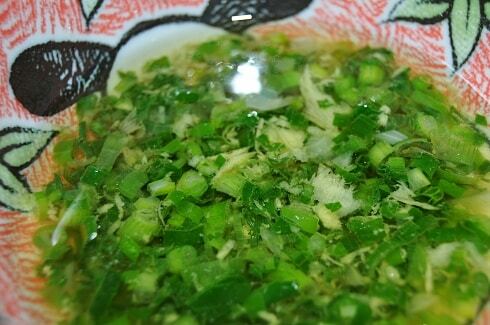 Put the spring onion, ginger and salt in a bowl. Heat up the oil in a pan until really hot (peanut oil has a high burning point so don’t worry) and then pour it over the contents of the bowl. Leave to rest until it has cooled to room temperature. It’s ready to go! This is so easy to make. 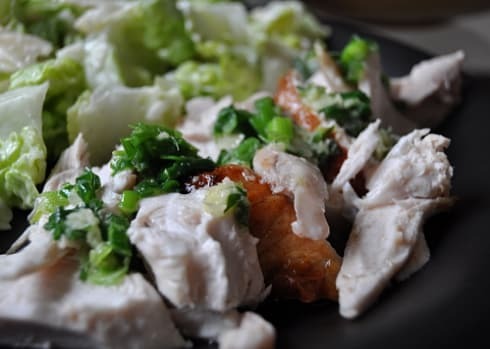 The nuttiness of the oil, the spiciness of the onion and the freshness of the ginger all mix together perfectly to make a seriously tasty sauce. I promise you, a spoonful of this stuff over plain grilled chicken will turn your meal from boring health food into a party in your mouth!